NextDegrassi Corner: What Happened To Degrassi DVDs? Here’s the first look gallery photos, episode stills and more! UPDATE 12/21/16: All of the images have been replaced with HQ versions (at least 3000×1690). Click on a photo to see the full size. Bios for all of the characters can be found here, but here’s a look at the ones for the two new characters, Rasha (Dalia Yegavian) and Saad (Parham Rownaghi). Season 3 Episode Stills, Etc. OK im all here for contacts Maya, finally. love her image off the series hopefully they incorporate it this season. 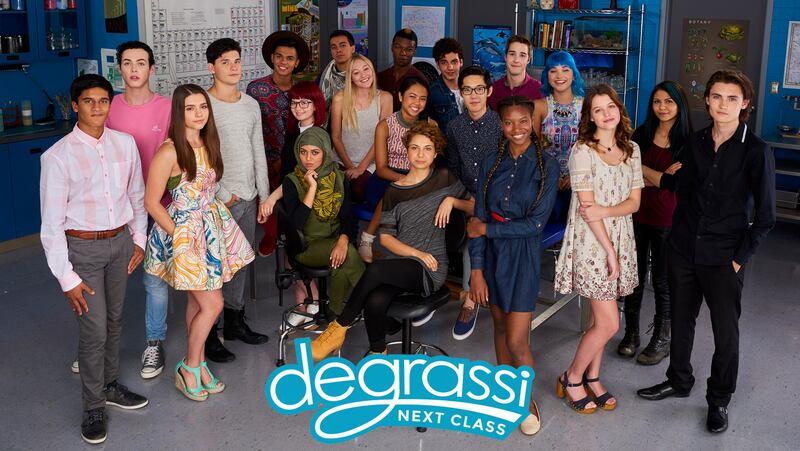 I feel the classic Degrassi vibes in that group photo. The new characters look amazing, the new looks for certain character fit nicely. It seems like we’re going back to the good old days with amazing characters. These pictures are making me look at this season from a whole new perspective. I’m not even exaggerating, this looks fantastic. It makes me even more hyped! Why did they dress Yael in the same outfit she wore in last season’s photos? And I don’t get why she wears a wig. Are we supposed to think it’s her real hair? 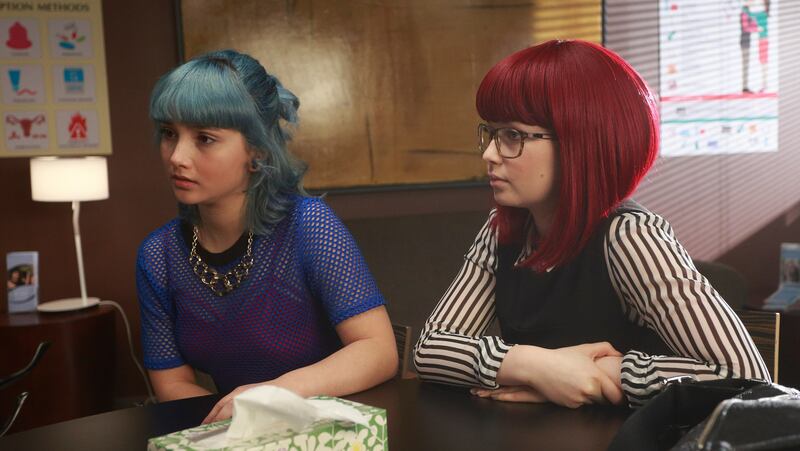 The character (Yael) wears wigs. On the F2N website in her bio, one of her hashtags is #wigsrule. I guess it’s meant to look fake. As far as the clothes, she’s wearing a different shirt but the same sweater if you compare old and new photos. I kinda like her current outfits, but I’m sure she’ll have new ones for season 3 episodes. If she’s intended to be Jewish (not sure), that could be why? Jamie the actress who portrays her is Jewish. 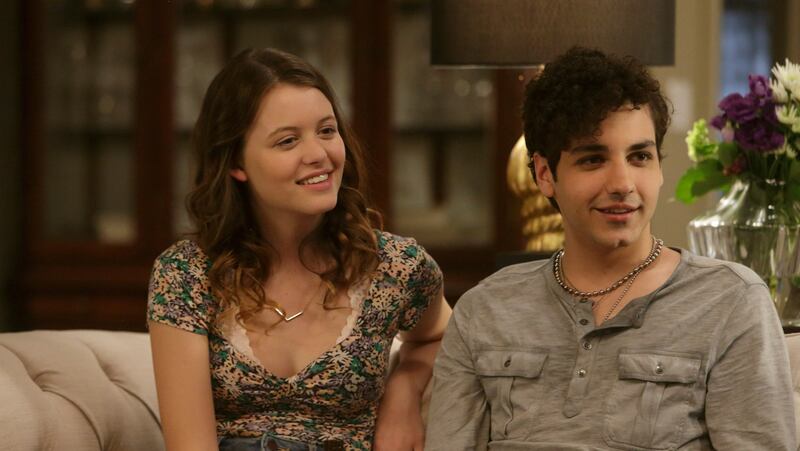 And in a webisode, Yael tells Lola she must go to Rosh Hashanah, which is the new year for Jews. If that clears anything up. I guess they used it as background for her character.